Speed-up Joomla! administration with AJAX support! Complete bi-directional integration of phpBB 3 forum with Joomla! CMS. Comment on Joomla! 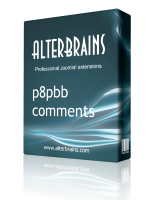 articles in phpBB forums. Auto-creating of phpBB topics for each Joomla! article.